There is NEVER A GOOD TIME to get your photos taken. You want to lose that last 5, 10, 15, 20 lbs. Oh, I have all these excuses and more. And Im a photographer. But believe me, you need to. All the time you are stalling, the kids are growing. You are ageing (gracefully Im sure). And that is what it is all about, the moments are passing. That newborn isn’t a newborn anymore. He’s in high school (how the heck did that happen?). And you are never going to be as young again as you are today. I have only one photo of me breastfeeding a baby. And I had four babies, breastfeed for a total of 5 years, and have one photo. But I cherish it. It brings me right back to that time and place. and it doesn’t need to be perfect. Sometimes real is best. 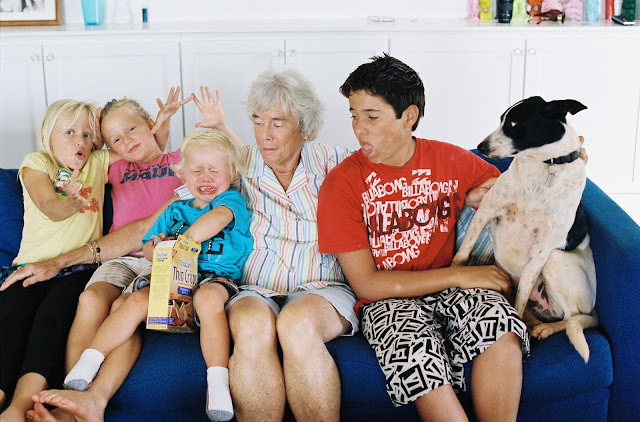 I adore this photo above of MY MOM with MY KIDS and my dog. Oh, I know they aren’t all perfectly smiling for the camera. (although my mom has that copy). Does my son cry? YES. Do my girls fool around constantly? YES. Is the dog crazy? YES. Is my high schooler a teenager? YES. Its all captured so perfectly. A snapshot of a real moment in my real life. MOTHERS DAY SPECIAL — book before Mother’s Day and get a mini session plus 1 8×10 & 2 5×7 for only $225.00.